Presidential candidates spend millions of dollars, travel thousands of miles, and make countless speeches during a typical campaign, but sometimes all you need is less than a minute to change the course of an election. Whether a candidate chooses to advertise their own strengths or their opponent's weaknesses, one pitch-perfect commercial can make all the difference. 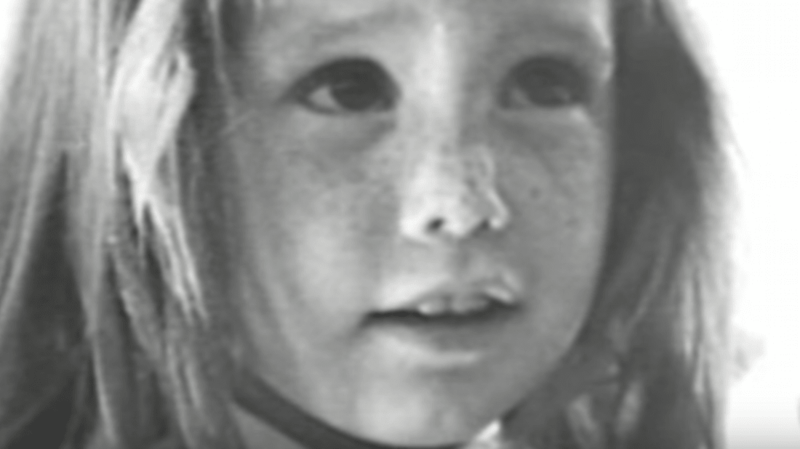 Here are eight milestone presidential campaign ads that had a tremendous impact during an election. The presidential election of 1952 was the first to feature television ads, and President Dwight Eisenhower struck first with a star-studded jingle written by Irving Berlin—of "God Bless America" fame—and produced by Roy Disney. While it looks quaint by today's standards, the use of television ads and a catchy song was a huge boon for the Eisenhower campaign. Ike's opponent, Adlai Stevenson, never quite took advantage of the new medium, and instead wound up with an ad—voiced by Looney Tunes veteran Mel Blanc—that couldn't compete with "I Like Ike." In 1960, one of John F. Kennedy's biggest hurdles for voters was his age: At 43, he would be the youngest president elected to office if he won. Instead of ignoring the issue, JFK's team used it to their advantage with a commercial jingle that made his age seem like an asset, not a detriment. The jingle combated the fear of Kennedy's age by showcasing lyrics like, "A man who's old enough to know, and young enough to do." This ad was targeted at voters looking for change from established politicians, while opponent Richard Nixon's commercials weren't nearly as memorable or timely. Instead of a jingle or a slogan that people could latch onto, they just featured him speaking about the issues in a formal setting, almost like a job interview. The Kennedy jingle, combined with his famous debate performances, solidified the medium of television as the future of presidential campaigning. These days, attack ads are so commonplace that they barely have any sting—but they were still fairly new in the 1964 presidential election, when Lyndon Johnson’s campaign aired “Daisy,” an ad that is still widely seen as one of the most shocking of the genre. Only officially aired once, during an episode of NBC Monday Night at the Movies, the ad features a young girl picking petals from a daisy when her playful counting is interrupted by the countdown to a nuclear explosion. The screen then freezes, zooming in on the girl's face as it's soon engulfed by a mushroom cloud. A voiceover by LBJ states, "These are the stakes. To make a world in which all of God's children can live, or to go into the dark. We must either love each other, or we must die." LBJ's message was clear: A vote for Johnson is a vote for peace. A vote for his opponent, Barry Goldwater, who is never even mentioned in the ad, is a vote for nuclear war. This was based on Goldwater's perceived willingness to use nuclear weapons in Vietnam, and the ad's chilling portrayal of war has been credited with securing Johnson's landslide victory. To portray a candidate as such a threat to the American public had never been done before on TV, and it changed the way campaigns have been run ever since. In 1972, presidential incumbent Richard Nixon was running for re-election against South Dakota senator George McGovern. In this attack ad from the campaign, a pro-Nixon group took aim at McGovern's promise to implement broad cuts to the military by illustrating his point with plastic toy solders. The result was an effective visualization of what the Nixon campaign wanted voters to believe: George McGovern was weak on defense. By using Democrat Hubert Humphrey's own criticism of McGovern's plan in this commercial, Nixon's ad went a long way toward convincing voters that even McGovern's own party didn't believe in his defense strategy. Nixon would go on to win 520 electoral votes to McGovern's 17 that November. In a climate of attack ads and negative campaigning, incumbent president Ronald Reagan found the best strategy for this 1984 ad was nostalgia. The famous "It's Morning Again in America" campaign touted old-fashioned values and featured calming, optimistic narration that conveyed a positive message to voters. It put the spotlight on Reagan's accomplishments by highlighting the progress the country had made since he took office four years prior. All of this was set to pastoral images of families, working-class folk, and a literal white picket fence. The spot never mentioned Reagan's opponent, Walter Mondale, nor did it lay out the Gipper's plan for a second term. Instead it just asked one simple question: "Why would we ever want to return to where we were less than four short years ago?" In 1988, an independently financed ad came out, attacking presidential candidate—and then-governor of Massachusetts—Michael Dukakis's policy of weekend furloughs for convicts. (Although the furloughs were started by a Republican predecessor, Dukakis was roundly criticized for not signing legislation that would have blocked inmates with life sentences from the program.) During one furlough, an inmate named William Horton escaped and attacked two people. Weeks after, George H.W. Bush's campaign released the infamous "Revolving Door" prison ad, which further drilled down on the controversial policy, painting Dukakis as someone who was lenient on criminals and too soft to protect the American public. Some have claimed that Bush's ad preyed upon the fears of an American public that didn't fully understand the furlough system, but in the end, it probably didn’t have much of an effect on the election. Unfortunately for Dukakis, another infamous attack ad was right around the corner. There's not a worse PR backfire in presidential campaign history than Dukakis's ill-fated photo-op in a M1A1 Abrams Main Battle Tank. What was supposed to make the seemingly soft Democratic candidate look ready for military action had quite the opposite effect. And when George H.W. Bush's team got hold of the footage, they turned it into an attack ad that pretty much sealed the 1988 election. The video of a smiling, awkward Dukakis riding around in a tank was played for laughs, as a voiceover detailed all of the cuts and restrictions he planned on putting on the military once he got into office. It was not the showcase of military machismo the campaign team was hoping for. The ad debuted during the third game of the 1988 World Series, with a sizable TV audience on-hand to witness Dukakis's fatal gaffe. Being perceived as soft on defense is usually a death knell for a candidate, and this—along with a string of other negative ads—proved to be too much for the presidential hopeful to overcome. In August 2004, presidential candidate John Kerry was photographed windsurfing off the coast of Nantucket, in what many believed to be an attempt to shed his image as a stiff, no-fun candidate. Unfortunately for Kerry, President George W. Bush's campaign team pounced on the visual, using the windsurfing images of Kerry to produce a commercial illustrating his propensity to "flip-flop" on big issues. With the tagline: "John Kerry: Whichever way the wind blows," Bush's team pointed out his opponent's ever-changing opinion on subjects like education reform, the Iraq War, and Medicare spending. The appearance of a flip-flopper is something Kerry could never shed, and in November Bush came away with 286 electoral votes to Kerry's 251.